Draft: 2012, Boston Red Sox, 1st rd. Full name is Christopher Brian Johnson ... Signed by Anthony Turco (Red Sox) ... Pitched at the University of Florida from 2010-12 ... Also played 1B, batting .324 (155-for-478) with 15 HR ... As a junior in 2012, won the John Olerud 2-Way Player of the Year Award ... Named to the SEC's All-Freshman Team as a starting pitcher and a DH in 2010 ... Was a member of the USA Collegiate National Team in 2010 and 2011 ... Named 2008 Florida Today Player of the Year and Brevard County Player of the Year at Cocoa Beach High School ... Selected by LAD in the 27th round of the 2009 June Draft, but did not sign. Made his 1st career Opening Day roster and spent the entire season with BOS .. ... Over 38 appearances (13 starts), went 4-5 with a 4.17 ERA (46 ER/99.1 IP) ... Earned the Unsung Hero Award from the Boston Baseball Writers ... Became the 1st Sox pitcher to make 13+ starts and 25+ relief appearances in a season since Tim Wakefield did so in each season from 1999-2002 ... In his 13 starts, was 4-3 with a 4.15 ERA (28 ER/60.2 IP) ... The Sox were 9-4 in those games, winning 5 straight from 8/2-28 ... Posted a 4.19 ERA (18 ER/38.2 IP) in 25 relief outings, allowing 0 runs in 16 of those appearances ... Held LHB to a .218/.288/.376 batting line (22-for-101, 5 2B, 3B, 3 HR) ... Started the Sox' 5th game of the season, limiting MIA to 1 run over 6.0 IP on 4/2 at Marlins Park, his 1st career ML start in his home state of Florida ... Pitched only in relief from 4/8-6/22 (21 G, 0-2, 5.10 ERA, 17 ER/30.0 IP) ... Of his final 16 appearances (beginning 6/28), 12 were starts ... Allowed 2 runs or fewer in 5 straight starts from 6/28-7/26, extending his streak of such starts to 6 (also 4/2 at MIA) ... Recorded his 1st career ML hit on 7/3 at WSH, singling off Tanner Roark in the 5th inning and coming around to score on a J.D. Martinez single ... Placed on the 10-day disabled list on 7/8 (retro to 7/5) with left hip inflammation ... Reinstated on 7/15 ... Allowed 0 ER on 7/21 at DET (5.0 IP, 2 UER) and 7/26 vs. MIN (5.2 IP), the first 2 such starts of his ML career ... Struck out a career-high 11 over 5.0 IP on 8/2 vs. NYY (6 H, 5 R, 4 ER, 2 BB) ... Was his 1st double-digit SO effort since 8/23/14 with Double-A Portland ... Became the 1st Red Sox pitcher with 11+ SO over 5.0 IP or fewer in the last 100 seasons ... Chris Sale (12 SO, 5.0 IP, 8/12 at BAL) later joined him ... Logged a career-high 7.0 IP on 8/8 at TOR ... Limited the Blue Jays to 2 runs through 6.0 IP prior to a 2-out, 3-run HR by Randal Grichuk in the 7th inning ... Allowed just 1 run over a career-high 4.2 relief IP on 9/14 vs. NYM (2 H, BB, 4 SO) ... Did not allow a hit over 3.0 scoreless relief IP on 9/22 at CLE, striking out 4 ... Marked his longest career outing with 0 hits allowed ... Following the season, pitched for the MLB team in the 6-game Japan All-Star Series in November ... Pitched in relief in Game 2 on 11/10 and started Game 6 on 11/15. Went 2-0 with a 4.33 ERA (13 ER/27.0 IP) in 5 ML starts-all Red Sox wins-over 4 stints with BOS...Spent most of his season with Triple-A Pawtucket...Earned the organization's Lou Gorman Award, given annually to a Red Sox minor leaguer who has demonstrated dedication and perseverance in overcoming obstacles while working his way to the major league team. Threw the Sox' lone shutout of the season on 5/27 vs. SEA...Was 1 of 27 shutouts in the majors in 2017, and 1 of only 2 by rookies (also SF's Ty Blach on 6/2 at PHI). Began the season with the PawSox and made 2 starts before being recalled by BOS on 4/18...Started that day at TOR and earned his 1st ML victory (5.0 IP, 7 H, 4 ER, 3 BB, 6 SO)...Optioned to Pawtucket the following day. Allowed 3 ER or fewer in each of his first 16 starts with Pawtucket. Recalled by BOS for a 2nd time on 5/27 and tossed a shutout that day vs. SEA at Fenway Park, only his 3rd career ML appearance (9.0 IP, 5 H, 0 BB, 8 SO)...Optioned to Pawtucket after the game. Became the 1st Red Sox pitcher to throw a shutout of 9.0+ innings in a Fenway Park debut since Pedro Martinez on 4/11/98 vs. SEA. According to Elias, became the 1st Red Sox rookie ever to throw a shutout with 0 BB, 5 or fewer hits, and 8 or more strikeouts. Recalled a 3rd time on 6/9 and made 2 starts (6/9 vs. DET and 6/14 at PHI) before being placed on the 10-day DL on 6/15 with a left shoulder impingement. Made 1 rehab appearance with Short-A Lowell on 6/30 and 1 with the PawSox on 7/5...Activated from the DL and optioned to Pawtucket on 7/6. Threw 7.0 shutout innings on 7/13 at Syracuse. Recalled by BOS on 7/18 and recorded a quality start that day vs. TOR (W 5-4), his 5th and final ML appearance of the season (6.0 IP, 8 H, 3 ER, 3 BB, 4 SO)...Optioned to Pawtucket after the game. On the minor league DL from 7/27-8/4 with left shoulder inflammation. Made 15 starts with Triple-A Pawtucket, going 5-6 with a 4.09 ERA (35 ER/77.0 IP). Placed on Pawtucket's temporary inactive list on 5/21 to seek treatment for anxiety...Did not appear in a game until starting twice for the Rookie-level GCL Red Sox on 7/4 & 7/9, going 0-1 with a 3.86 ERA (3 ER/7.0 IP) and 9 SO. Made his next 2 starts with Short-A Lowell, holding opponents scoreless over 11.0 IP and striking out 11. Returned to Pawtucket to make 8 starts from 7/24-9/1, going 3-3 with a 3.68 ERA (18 ER/44.0 IP). In his 2nd start after returning to the PawSox (7/29 vs. Scranton/Wilkes-Barre), dealt 6.0 innings of a combined shutout...Allowed just 6 ER over 5 starts from 7/29-8/22, going 3-1 with a 1.76 ERA (6 ER/30.2 IP) and 20 SO. With Pawtucket, held opposing LHH to a .197 AVG (14-for-71) and a .230 OBP. Made ML debut with 1 start for the Red Sox on 7/21 at HOU...Spent the majority of the season making 18 starts with Triple-A Pawtucket, but did not pitch after 8/2 due to left elbow tightness. Recalled for 1st career ML stint on 7/11...Started on 7/21 at HOU and held the Astros to 1 run on 1 hit through the first 4.0 IP...Left the game having allowed 4 ER, 3 H, and 4 BB in 4.1 IP, suffering the loss. Was selected to the International League Mid-Season All-Star Team. Led PawSox with 9 wins in 18 starts...Paced the team with a 2.53 ERA (27 ER/96.0 IP), a 1.10 WHIP, and 8.4 SO/9.0 IP (min. 55.0 IP). In 9 Triple-A starts at home, posted a 2.04 ERA (12 ER/53.0 IP) with a 0.91 WHIP and a .162 opponent AVG. Allowed 1 or no ER in 13 of 18 starts with the PawSox, including 7 of his first 8, 4/9-5/19 (1.13 ERA, 5 ER/39.2 IP). Was Pawtucket's Opening Day starter on 4/9 at Lehigh Valley (W, 5.0 IP, 0 R, 4 H, 6 SO). Tossed the lone PawSox shutout of the season, 2-hitting Buffalo in a 1-0, 7.0-IP victory on 4/21...Named International League Pitcher of the Week for 4/20-26. 16 of his 18 Triple-A starts came before his 7/11 call-up...On 7/22, returned to the PawSox for 2 more starts, allowing 1 ER in 10.1 IP with 9 SO (0.87 ERA). Was placed on the minor league DL with left elbow tightness on 8/3 and missed the remainder of the season. After the season, named to Baseball America's Triple-A All-Star Team and ranked by BA as the No. 6 prospect in the Red Sox system, the top LHP. Named Red Sox Minor League Pitcher of the Year...Earned a spot on both Baseball America's Minor League All-Star Second Team and Double-A All-Star Team...Went 13-3 with a 2.13 ERA (34 ER/143.2 IP) in 25 starts between High-A Salem and Double-A Portland. Ranked 2nd in the minors in opponent AVG (.197), 3rd in WHIP (0.97), and 4th in ERA (min. 125.0 IP). Led qualifying Sox farmhands in ERA and ranked among leaders in wins (3rd) and SO (2nd). Named an Eastern League mid-season All-Star...Led the EL in ERA (1.75), WHIP (0.93), and opponent AVG (.189). Began the year with Salem and made 5 starts...Promoted to Portland for his Double-A debut on 5/2. Surrendered more than 2 ER in only 1 of his 20 regular season starts with Portland. Allowed only 11 ER over his first 10 Double-A starts between May and June (1.67 ERA, 59.1 IP). Named Red Sox Minor League Pitcher of the Month for June (4-0, 1.13 ERA, 4 starts). In 7 starts after the All-Star break, allowed only 3 ER and 18 hits in 46.1 IP...During that stretch, which began 7/12, had the best opponent AVG in the minors (.118) and the 2nd-best ERA (0.58) and WHIP (0.64). Started playoff games for Portland and Pawtucket, combining for a 2.77 postseason ERA (4 ER/13.0 IP). Following the season, named the Red Sox' No. 5 prospect by Baseball America...Also named the No. 9 prospect in the EL after the season and the No. 82 prospect in baseball. Combined for a 2.54 ERA (24 ER/85.0 IP) between the Rookie-level Gulf Coast League Red Sox (2 starts), Single-A Greenville (15 starts), and High-A Salem (2 starts). Allowed only 50 hits in 69.0 IP with the Drive for a .197 opponent AVG, 5th in the SAL (min. 60.0 IP). Went on the DL (left biceps tendinitis) from 6/4-7/20 and had a 2-start rehab stint in the GCL (5.0 IP, 1 H, 0 R). Started Game 2 of the Mills Cup Semifinals at Myrtle Beach en route to Salem's championship (4.0 IP, 3 R, 2 ER). Ranked by Baseball America as the No. 14 prospect in the Red Sox' system and the No. 3 LHP prospect. Made 4 starts with Short-A Lowell in his pro debut before suffering a season-ending injury... Did not allow a run and gave up only 2 hits in 5.2 IP. Struck in the face with a line drive in the 1st inning of his 4th professional start on 8/18 vs. Hudson Valley, which was played at Fenway Park...Left the game and missed the remainder of the season on the DL (facial fracture). 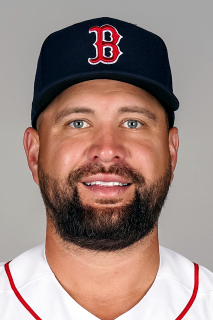 April 6, 2019 Boston Red Sox placed LHP Brian Johnson on the 10-day injured list. Left elbow inflammation. July 15, 2018 Boston Red Sox activated LHP Brian Johnson from the 10-day disabled list. July 8, 2018 Boston Red Sox placed LHP Brian Johnson on the 10-day disabled list retroactive to July 5, 2018. Left hip inflammation. October 12, 2017 Boston Red Sox activated LHP Brian Johnson. October 5, 2017 Boston Red Sox reassigned LHP Brian Johnson to the minor leagues. October 2, 2017 Boston Red Sox recalled LHP Brian Johnson from Pawtucket Red Sox. August 5, 2017 Pawtucket Red Sox activated LHP Brian Johnson from the 7-day disabled list. July 29, 2017 Pawtucket Red Sox placed LHP Brian Johnson on the 7-day disabled list retroactive to July 27, 2017. Left shoulder inflammation. July 19, 2017 Boston Red Sox optioned LHP Brian Johnson to Pawtucket Red Sox. July 18, 2017 Boston Red Sox recalled Brian Johnson from Pawtucket Red Sox. July 6, 2017 Boston Red Sox optioned LHP Brian Johnson to Pawtucket Red Sox. July 5, 2017 Boston Red Sox sent LHP Brian Johnson on a rehab assignment to Pawtucket Red Sox. June 30, 2017 Boston Red Sox sent LHP Brian Johnson on a rehab assignment to Lowell Spinners. June 15, 2017 Boston Red Sox placed LHP Brian Johnson on the 10-day disabled list. Left shoulder impingement. June 9, 2017 Boston Red Sox recalled LHP Brian Johnson from Pawtucket Red Sox. May 28, 2017 Boston Red Sox optioned LHP Brian Johnson to Pawtucket Red Sox. May 27, 2017 Boston Red Sox recalled Brian Johnson from Pawtucket Red Sox. May 26, 2017 Pawtucket Red Sox placed LHP Brian Johnson on the reserve list. April 19, 2017 Boston Red Sox optioned LHP Brian Johnson to Pawtucket Red Sox. April 18, 2017 Boston Red Sox recalled Brian Johnson from Pawtucket Red Sox. March 14, 2017 Boston Red Sox optioned LHP Brian Johnson to Pawtucket Red Sox. October 12, 2016 Brian Johnson roster status changed by Boston Red Sox. October 6, 2016 Boston Red Sox reassigned LHP Brian Johnson to the minor leagues. October 3, 2016 Boston Red Sox recalled LHP Brian Johnson from Pawtucket Red Sox. July 24, 2016 Pawtucket Red Sox activated LHP Brian Johnson from the 7-day disabled list. July 14, 2016 Pawtucket Red Sox sent LHP Brian Johnson on a rehab assignment to Lowell Spinners. July 4, 2016 sent LHP Brian Johnson on a rehab assignment to GCL Red Sox. June 6, 2016 Pawtucket Red Sox placed LHP Brian Johnson on the 7-day disabled list. May 21, 2016 Pawtucket Red Sox placed LHP Brian Johnson on the temporarily inactive list. March 24, 2016 Boston Red Sox optioned LHP Brian Johnson to Pawtucket Red Sox. October 5, 2015 Boston Red Sox recalled Brian Johnson from Pawtucket Red Sox. September 28, 2015 Pawtucket Red Sox activated LHP Brian Johnson from the 7-day disabled list. August 3, 2015 Pawtucket Red Sox placed LHP Brian Johnson on the 7-day disabled list. July 22, 2015 Boston Red Sox optioned LHP Brian Johnson to Pawtucket Red Sox. July 11, 2015 Boston Red Sox selected the contract of Brian Johnson from Pawtucket Red Sox. February 16, 2015 Boston Red Sox invited non-roster LHP Brian Johnson to spring training. September 9, 2014 LHP Brian Johnson assigned to Pawtucket Red Sox from Portland Sea Dogs. May 2, 2014 LHP Brian Johnson assigned to Portland Sea Dogs from Salem Red Sox. August 24, 2013 LHP Brian Johnson assigned to Salem Red Sox from Greenville Drive. July 21, 2013 Brian Johnson roster status changed by Greenville Drive. July 10, 2013 Greenville Drive sent LHP Brian Johnson on a rehab assignment to GCL Red Sox. June 9, 2013 Greenville Drive placed LHP Brian Johnson on the 7-day disabled list retroactive to May 31, 2013. April 2, 2013 LHP Brian Johnson assigned to Greenville Drive from Lowell Spinners. September 20, 2012 Brian Johnson roster status changed by Lowell Spinners. August 19, 2012 Lowell Spinners placed LHP Brian Johnson on the 7-day disabled list. July 11, 2012 LHP Brian Johnson assigned to Lowell Spinners. June 27, 2012 Boston Red Sox signed LHP Brian Johnson.